Ginkgo biloba, is still one of the most popular herbs in the world, with millions of people using it throughout Europe and North America. Of its many uses, the herb is best known for its effect in helping maintain peripheral circulation to the extremities of the body such as the legs, hands, and the brain, and studies show it may help to maintain memory in the short-term. Most of the studies on Ginkgo biloba have been carried out with a standardised extract called GBE, containing 24% glycosides, and this is the material used in this LAMBERTS product. 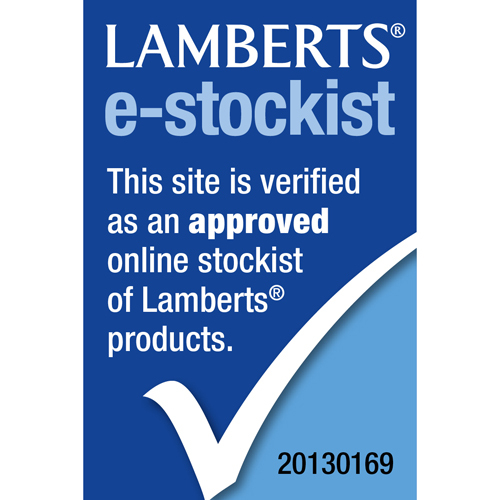 LAMBERTS also insist on a high purity extract that has guaranteed low levels of an unwanted natural compound called ginkgolic acid. No other practitioner brand uses this high grade of Ginkgo extract. 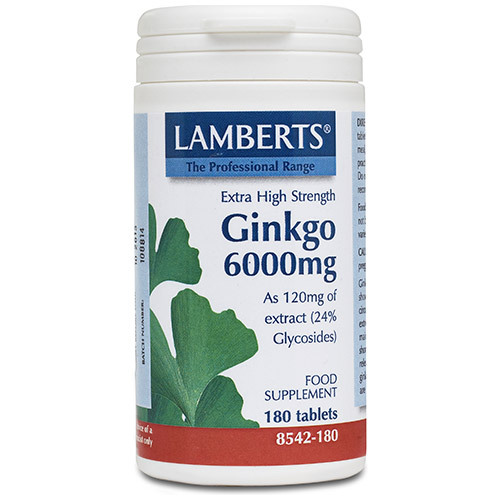 This product is one of the highest strength ginkgo products available in the UK. 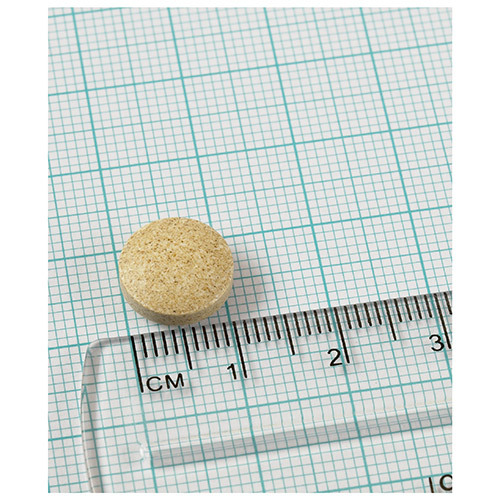 Each tablet contains 120mg extract, equivalent to 6000mg of dried leaf. LAMBERTS have also made the tablets time release so that the ginkgo is released gradually over a period of approximately 2 hours. This will help prevent any minor side effects, such as mild, short-term headaches, therefore encouraging patient compliance. DiCalcium Phosphate, Cellulose, Tablet Coating (hypromellose, Glycerin), Silicon Dioxide, Stearic Acid, Magnesium Stearate. Take 1 tablet daily, just after a meal. Below are reviews of LAMBERTS Ginkgo - Ginkgo Biloba - 180 x 6000mg Tablets by bodykind customers. If you have tried this product we'd love to hear what you think so please leave a review. I've been taking LAMBERTS Ginkgo for many years, six or seven... I'm very satisfied with the product as it enhances my concentration, focus and memory. I usually take a break, like during holidays and don't feel any difference, but I feel the difference when I take a break while in working time. LAMBERTS Ginkgo 6000mg is one of the highest strength ginkgo products available in the UK. The herb is best known for its effect in helping maintain peripheral circulation to the extremities of the body.